The ingredients found in DermaNERV sustain balance behavior functions and help support normal functions of the central nervous system. 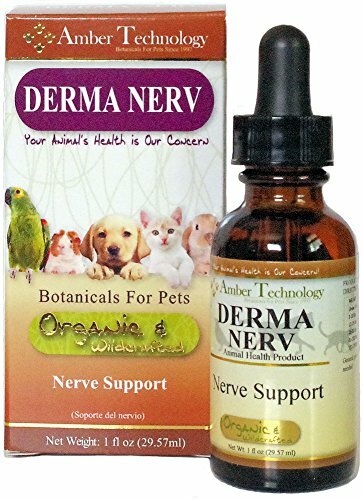 DermaNERV is made from the highest quality herbs available. The herbs we use are certified organic, wildcrafted, and kosher ingredients. The herbs in DermNERV are used and pressed only one time to ensure the best potency for your pet. DermaNERV is available in both 1 oz and 4 oz bottles. Each bottle comes with instructions and a 1 ml/cc syringe.